Tennessee crimes classified as felony offenses are punishable by a sentence of at least one year. 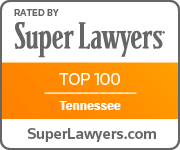 The amount of punishment a criminal defendant may receive for Tennessee felony crimes range from a Class A Felony (maximum amount of punishment) to a Class E Felony (minimum amount of punishment). In addition to lengthy jail sentences, Tennessee felony offenses will also result in costly fines and court fees. In addition to the penalties ordered by the court, felony convictions also trigger additional grave consequences. For instance, a convicted felon will not be able to legally possess a firearm or serve on a jury. A convicted felon in Tennessee will not have the right to vote, at least while on probation for the Tennessee felony offense. Further, most job applications require that a person disclose a prior felony conviction. There are many more consequences, too numerous to list here, that stem from a Tennessee felony conviction. If charged with a Tennessee felony offense, you should consult with a knowledgeable criminal defense attorney about the immigration, travel, professional and other consequences of a felony conviction.